Vegetarianism as a lifestyle choice is relatively rare in Jakarta and not many restaurants cater to the meat-abstaining. 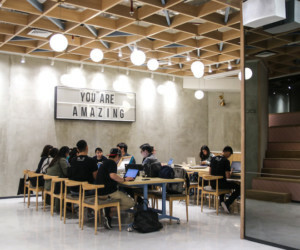 However, there is a growing number of restaurants in the Indonesian capital where vegheads can rest assured that they will find plenty of options. If you think vegetarian food has to be bland and boring, think again! 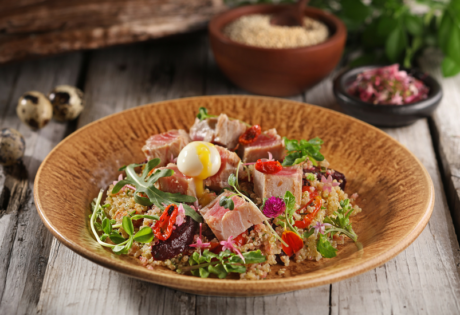 Grain bowls seem like they’re the Next Big Thing in Jakarta’s culinary scene. Case in point: recent Hot New Table Farmers Bowl. 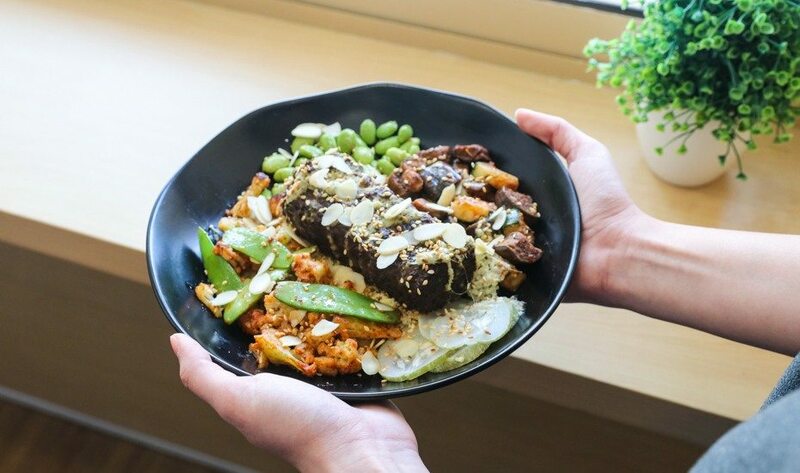 Vegetarians can order the Harvest Bowl – a delicious serving of warm quinoa, cous cous, soy glazed tempeh, grilled veggies, salted edamame and Farmer’s chilli, or whip up all the fresh ingredients available to to create their own dish. Farmers Bowl, Jl. Ciranjang No. 9, South Jakarta. p. +62 21 7056 2345. There’s nothing we despise more than a sad salad that doesn’t fill you up. 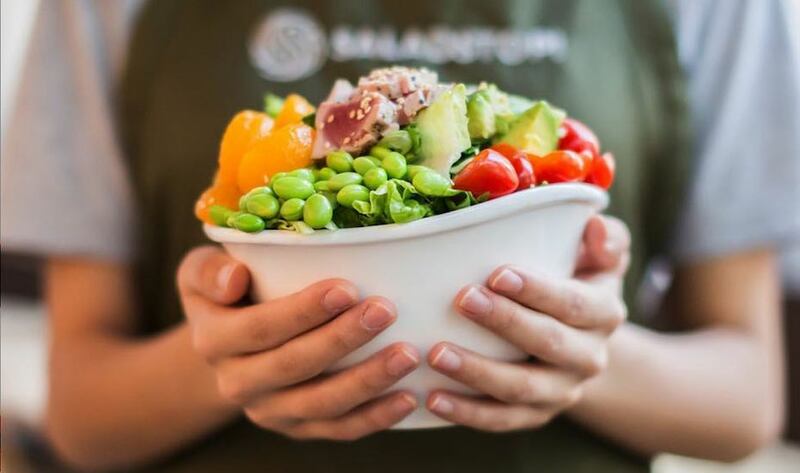 That’s far from the case at SaladStop!, whose vibrant salads are nourishing, tasty and packed with flavour. 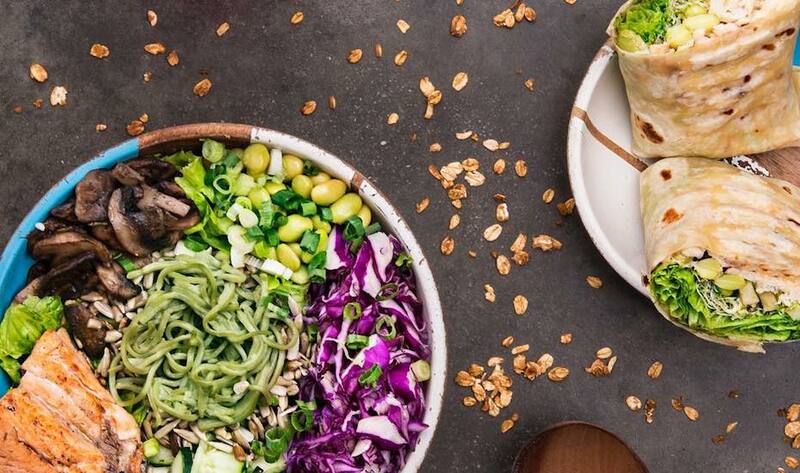 Our lunch times have never been healthier thanks to a delicious dose of their signature Signature Salads, Wraps, and Warm Grain bowls that come in a variety of flavours – don’t forget to ask for a side of their crunchy tempeh crisp. SaladStop! multiple locations, check website for details. Betawi Salad is the first salad bar in town to be inspired by Indonesian flavours. 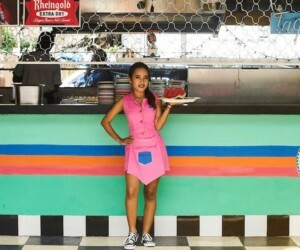 Located in Menteng, the stall uses hyper-fresh ingredients to make kicky salads and satisfying nasi-inspired dishes. While not all salads are 100% meat-free, our vegetarian dish of choice would be their Falafel Java Buda Salad with edamame, cauliflower rice, papaya salad and balado granola. Betawi Salad, Shophaus, Jl. Teuku Cik Ditiro, Menteng, Central Jakarta. p. 0817 0072 523. We can’t get enough of Honu’s Hawaiian poke bowls! Though their signature bowls Honu-Lulu, Super Bowl, Two and Two, Torched, and Yugo are only pescatarian-friendly, they do have a Tofu Bowl and Tempeh Bowl for full on vegetarians. Honu, multiple locations, check website for details. Burgreens specializes in vegetarian and vegan burgers, with mushroom steaks and salads available too. Those opting for the burger can pick everything from the bun (including whole-wheat and gluten-free) to the patty (mushroom-, bean-, or chickpea-based) to the finishing sauce. Instead of the usual French fries, you can pick a healthy side of sweet-potato chips or mashed “pota-cauli” to go with those burgers. And if that wasn’t enough for you health nuts, all of Burgreens’ original recipes use only locally sourced ingredients, meaning you are getting the freshest foods and helping out national farmers. But just because its vegan, doesn’t mean Burgreens skips out on the creamy sweets. You’ll have to try it to believe it, but their raw ice cream, which is nondairy, gluten-free and totally vegan-friendly, is delicious. 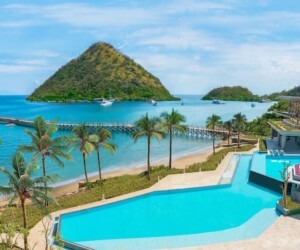 Not up for the road trip to Rempoa? Burgreens also has a home-delivery service. Burgreens, Jl. Flamboyan No. 19, Rempoa, South Jakarta, p: 62-878/8200-5070. Hours: Tue-Fri 10:30am-10:30pm, Sat-Sun 9:30am-10:30pm. We’ve been obsessed with SNCTRY’s delicious superfood bowls since we’ve discovered this little nook. This health conscious cafe serves everything good for you from pressed juices and almond milk to refreshing smoothies and granola. Their pocket-friendly salad selection includes prettily-plated specialties like their colourful Japanese salad of leafy greens, grilled eggplant, tempeh, spring onions and carrots. SNCTRY, Pelapas Building, Jl. Darmawangsa Raya No. 4. Hours: Mon-Fri 7am-8pm, Sat-Sun 8am-7pm. Hause Rooftop may not be strictly meat-free, but the trendy new rooftop eater has plenty of clearly marked vegetarian options on the menu. It doesn’t hurt that the purveyors of vegan burgers Burgreens supplies their signature organic burgers here. We recommend trying out Hause Rooftop’s vegetarian organic fried rice with mushrooms and spicy tofu. Hause Rooftop, MD Place Building, 6th Floor, Jl. Setiabudi Selatan No. 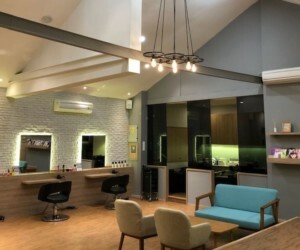 7, Kuningan, Central Jakarta, p. +62 21 29529852. Hours: Mon-Thur & Sun 9am-12am, Fri-Sat 9am-2am. With locations in Jakarta and many more throughout the rest of Indonesia, Loving Hut is the country’s largest group of vegan restaurants. In fact, Loving Hut is part of an international chain of restaurants with more than 200 locations throughout the world. 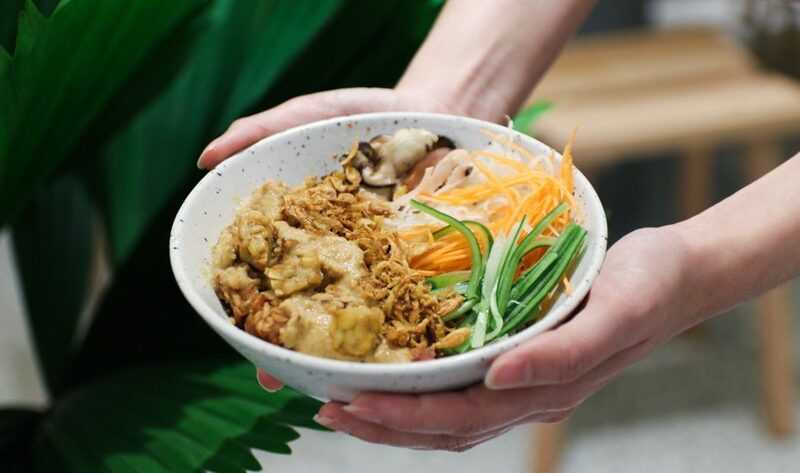 Each Loving Hut offers an extensive list of vegan dishes including meat-free versions of local favorites, and the outlets in Indonesia are no exception. 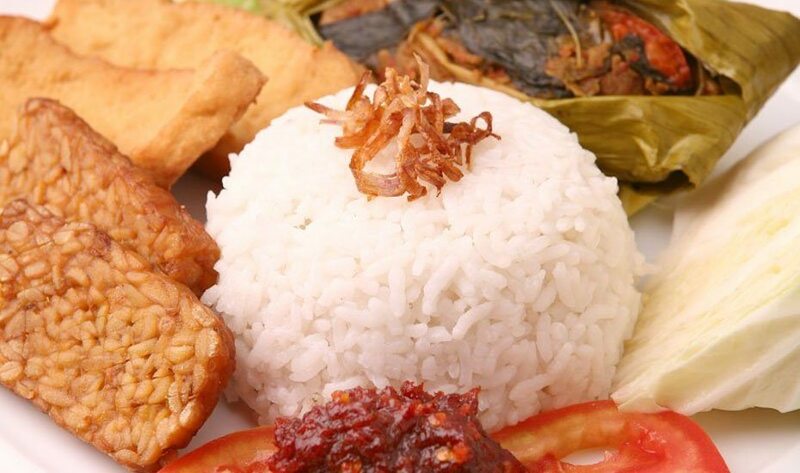 Vegan versions of traditional rice plates such as nasi lemak and nasi Bali are sure to please local palates, but we especially love the Jakarta Golden Soup, Loving Huts take on soto Betawi that manages to replicate all of the creamy, spicy flavors of the original without any of the offal. Loving Hut, Plaza Semanggi, Ciputra World, Jatinegara, Palmerah, and Kalideres. Check the website for more information. Previously known as Citarasa, which first opened more than 20 years ago, Dharma Kitchen is Jakarta’s oldest chain of vegetarian restaurants. They have four locations throughout the city, including a recently opened outlet in Grand Indonesia. Although they offer quite a few western dishes, they excel at Asian cuisine, specifically Indonesian and Chinese dishes. Cooking everything from Peking duck to ayam goreng mentega, it’s likely you can find a meat-free version of your favorite dish here. We enthusiastically recommend the suikiau, pan-fried Chinese dumplings that come with tasty fillings like diced mushrooms and faux chicken. The large Pluit venue also has its own bakery, while the Dharma Kitchen in Senayan City’s food court has a more streamlined menu. Dharma Kitchen, Grand Indonesia Mall, Pluit, Central Park, and Senayan City. Check the website for more information.